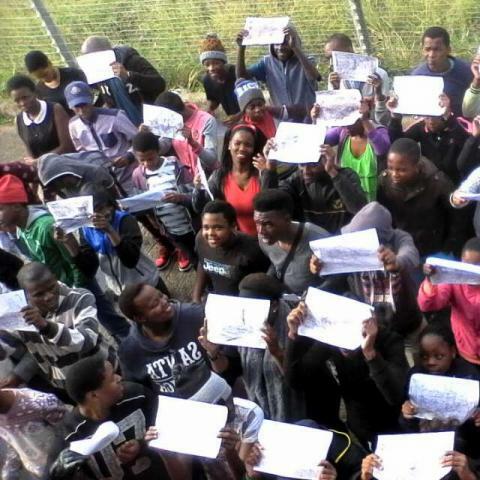 Since 2003, IkamvaYouth has over 1000 learners complete their matric. Our alumni are encouraged to continue to be involved in the organisation as tutors and mentors, and can even see themselves working for the organisation as interns/full time staff members, or even serving on the board! Zukile Keswa (Zuks), joined the organisation as a grade 11 learner in 2004. 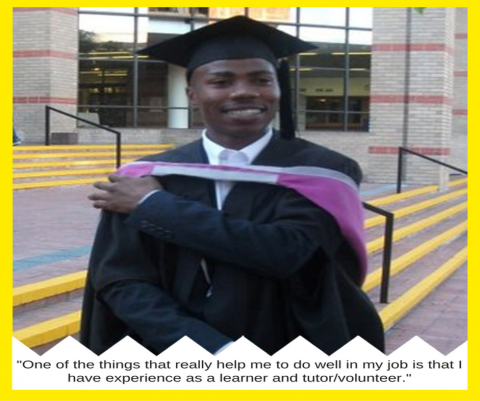 During his tertiary studies, he came back to IkamvaYouth to serve as a volunteer tutor. 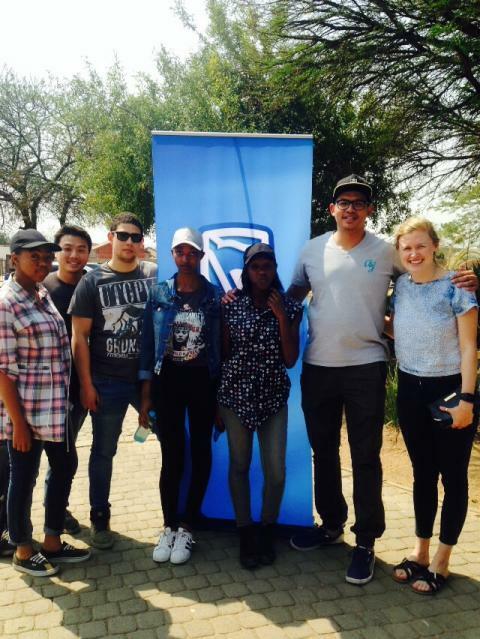 Zuks was the first alumn to become an IkamvaYouth staff member in 2011, starting as the Makhaza Branch Assistant. 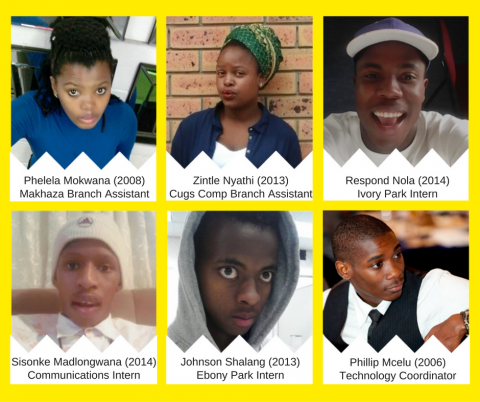 Since then, he’s held a number of roles in the organisation, and is now the Gugs Comp Branch Coordinator. “I was once a learner at Ikamva during my high school days from 2006-2008. I’m now working as a B.A for Makhaza branch. 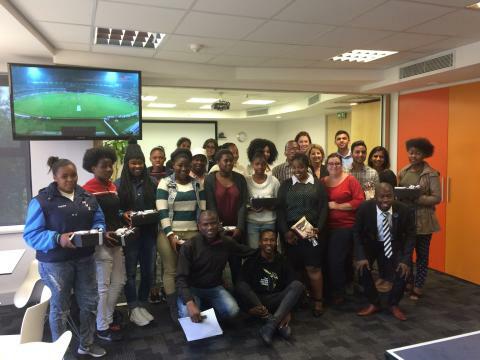 My experience working at Ikamva is amazing. I’ve started working during winter school 2016, It just reminded me of the days when I was a student, seeing learners engaging themselves in the the tutoring space and the commitment of tutors has just reminded me of why I came back to work for Ikamva. And now… IkamvaYouth is seeking an alum to be a board member of the organisation. The successful alumni will learn a great deal about what it takes to run an organisation. The Board requires a commitment of four board meetings a year (lasting approximately 2 hours) as well as prepare for the board meetings which will take approximately 2-3 hours. There may be other ad hoc events that the board member will be required to attend. The successful alum will not get paid for his or her time but will be making a meaningful contribution to the running of IkamvaYouth. 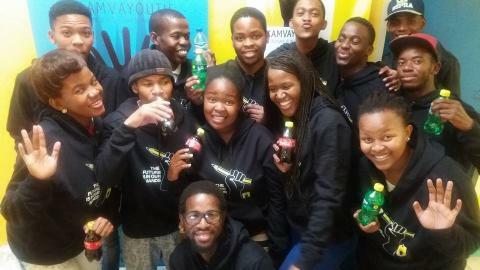 Serving on the board of IkamvaYouth is a wonderful, enriching experience, especially for someone early in their career. Aside from the joy of working for a public good, it can broaden your experience and skills, which might help you find your next job. For more details of what being a board member entails, please click HERE, where you’ll find our constitution. If you would like to nominate any alumn for this position, please click HERE. The vibrant State Street mentors have shown that an essential first step in a successful mentoring program is for both the mentor and mentee to identify, define, and honestly articulate their common and individual goals and motivations. 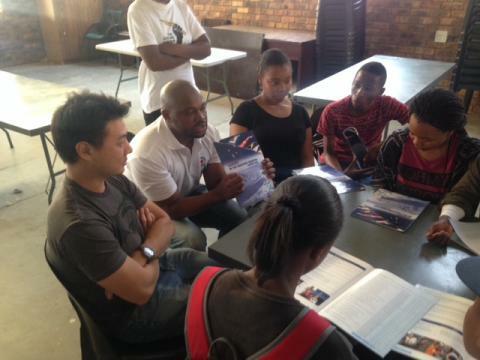 On the afternoon of the 28th of September 2016, the Masiphumelele matriculants attended their closing session with their mentors. The learners were ready and very excited to catch up with their mentors especially since we’re getting closer to the deadline for tertiary applications and exams! Thato Kola (State Street Mentoring organiser) and Nathan (State Street vice Director) gave some motivational words to learners, before they paired up with their mentors for their final session. We would like to express our deepest gratitude to all the State Street mentors and their team for knowledge and wisdom they have imparted upon IY learners. It has been a great help and support throughout the year. I believe success for our matriculants is at least in part due to the sincere support and mentorship provided by State Street.